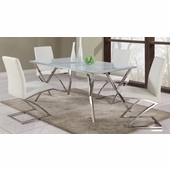 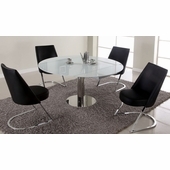 A distinctively modern dining room set, certain to add a jolt of pizazz into any home it's part of. 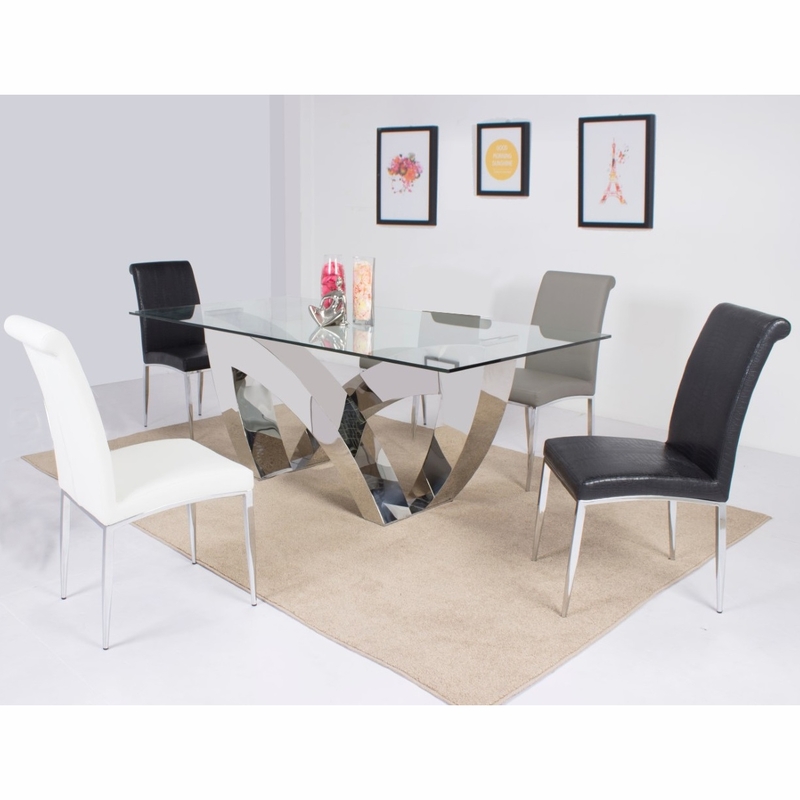 The curvy, glass topped table is the center piece, while faux leather chairs provide boundless comfort to guests and family. 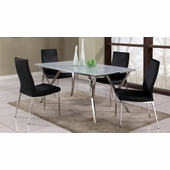 Grey chairs are the color option by default. 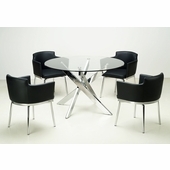 Chair color option chosen is for the 4 chairs.